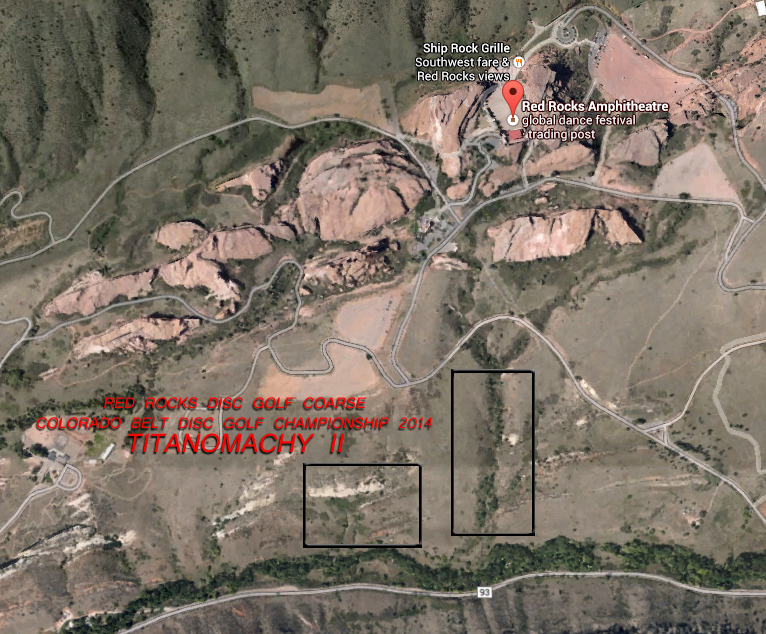 CBDGC – Red Rocks Update! Possible locations are outlined on the map. There are other areas. Please visit Google maps and join the discussion. Using 2 mobile baskets the players will be able to move the baskets before teeing off on the next thus crisscrossing the canyons through beautiful trees and obstacles. YOU MUST ATTEND ALL EVENTS during the disc golf days. NO exceptions! Don’t have a concert ticket..? Check craigslist or ebay.